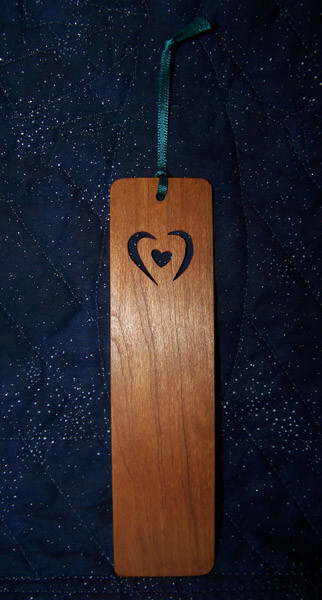 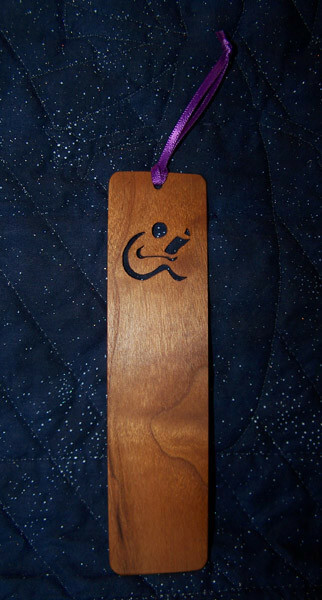 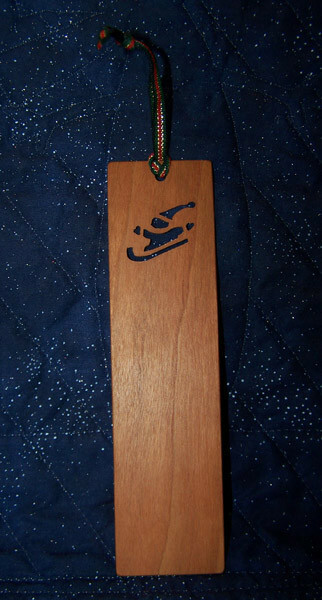 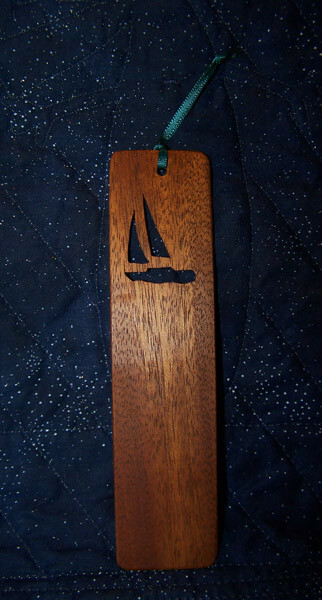 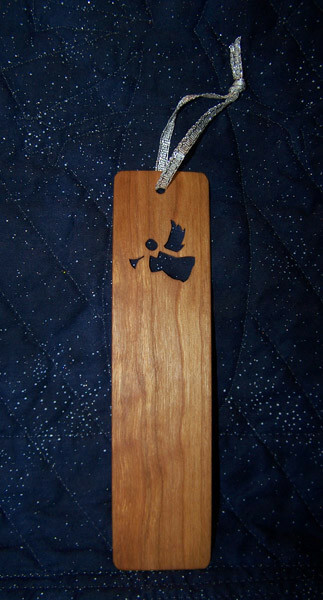 The Bookmarks also have different shapes scrollsawn into them. 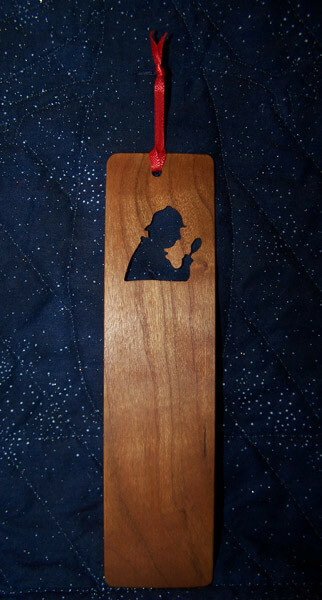 They are made from 1/16 inch thick pieces of cherry or mahogany. 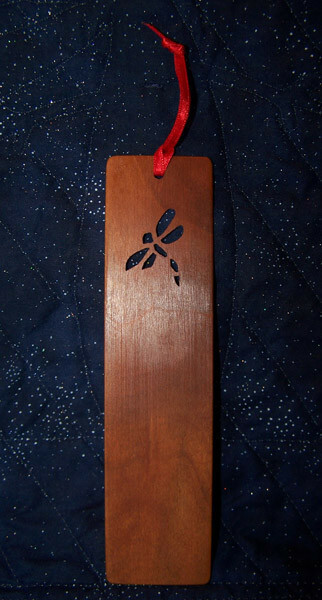 They are 1½ inches wide and 6 inches long.